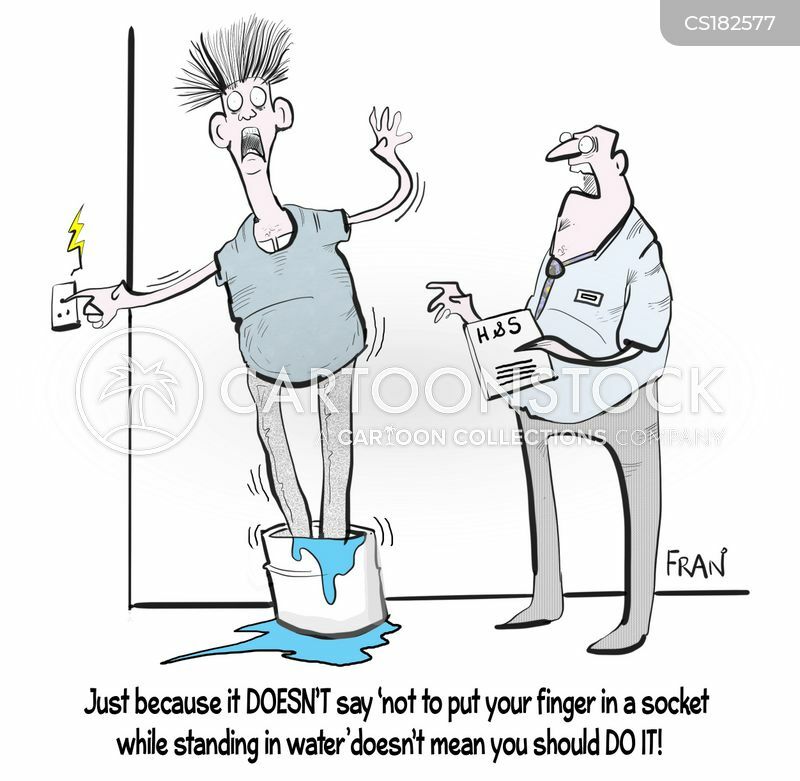 "Just because it DOESN'T say 'not to put your finger in a socket while standing in water' doesn't mean you should do it!" 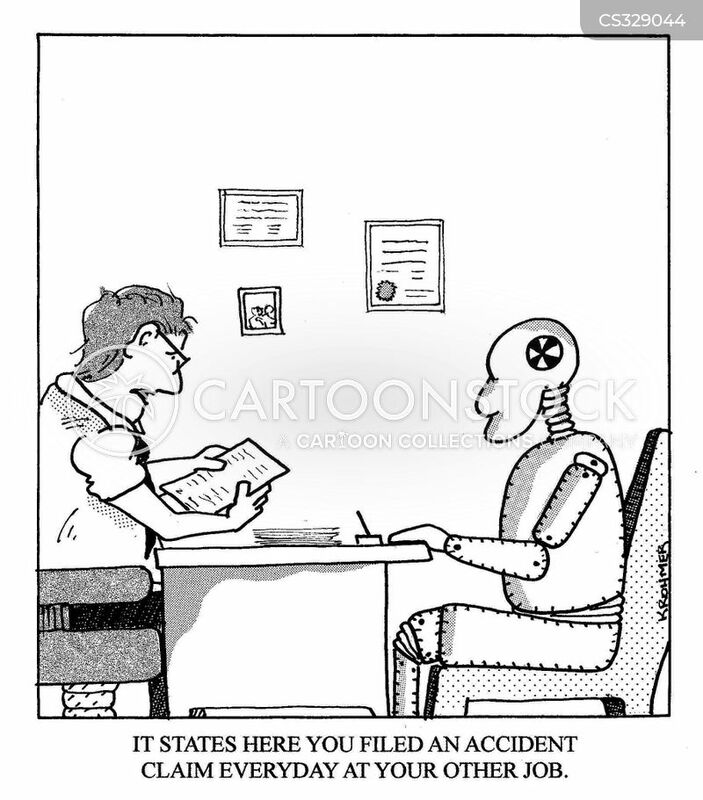 "I think you must have missed a page!" 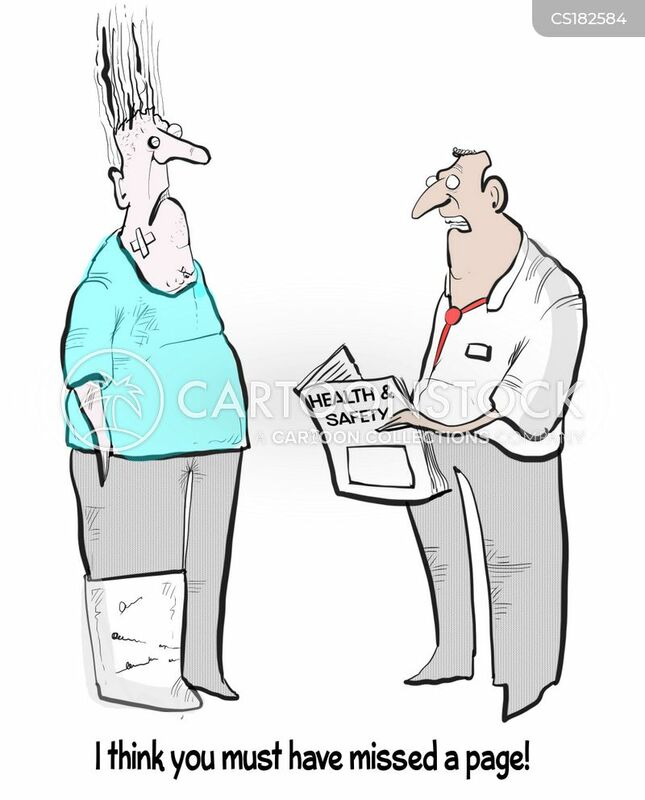 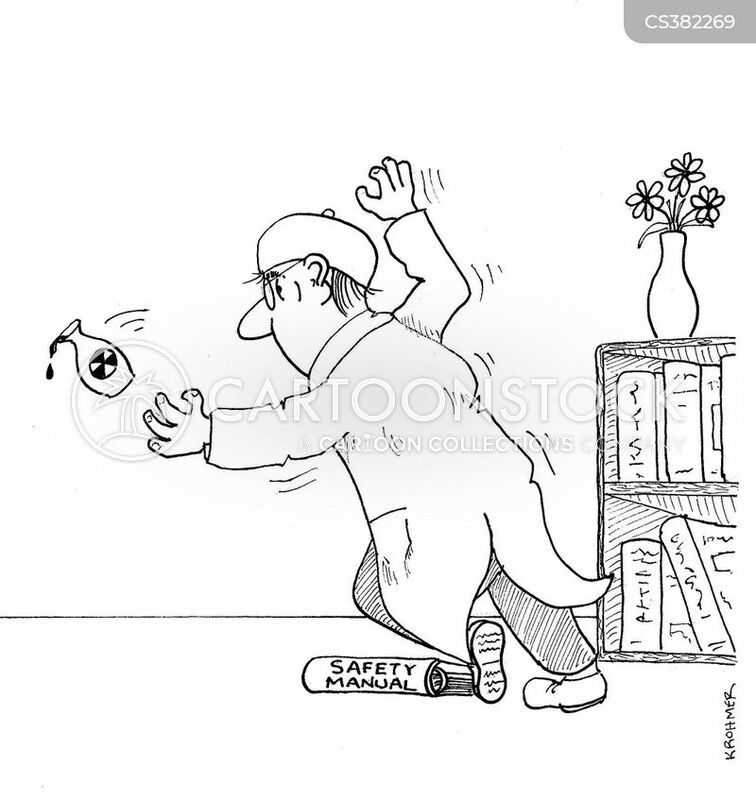 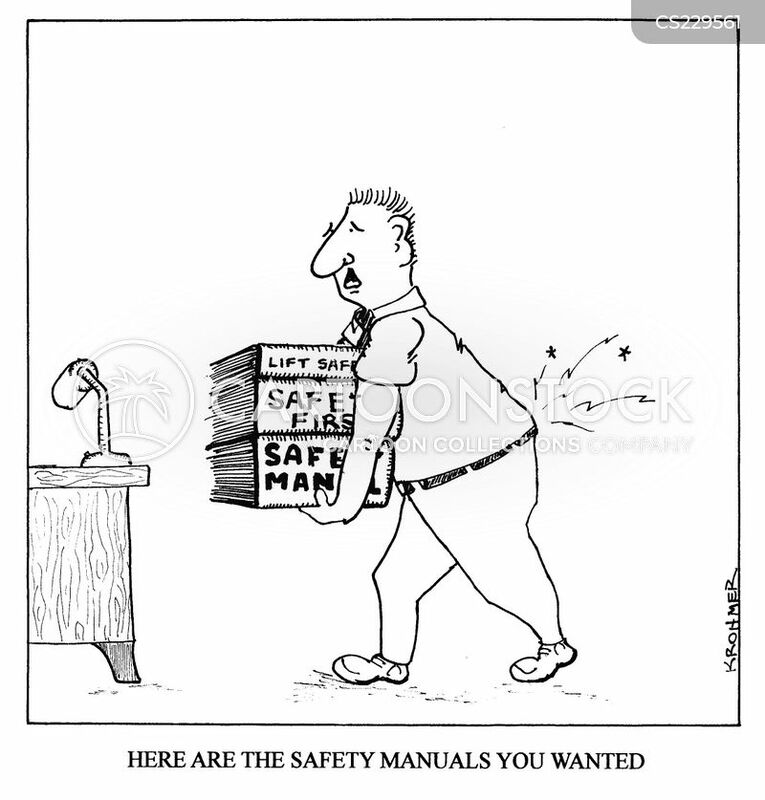 A man trips over the safety manual. 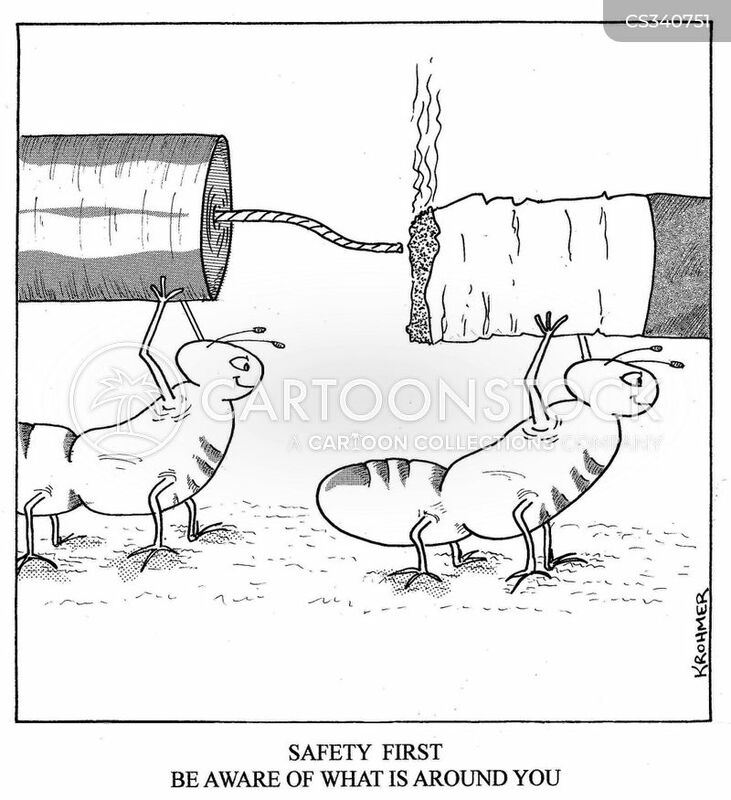 Safety first - do not store certain items together. Safety first - be aware of what is around you. 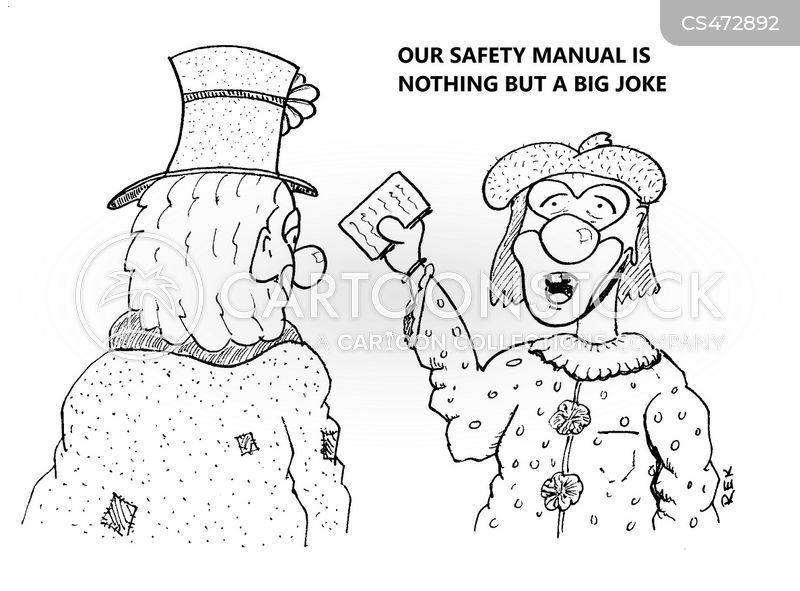 "Our safety manual is nothing but a big joke."